Sunpentown SD-31E 30 Pints Dehumidifier is an excellent choice for small areas up to 200 square feet. It will operate too in as big as 500 square feet spaces. Continuous drain capable, low-temperature operation and other features for less than $200. Sunpentown SD-31E design is simple. It has an air intake in front of the unit and air outlet at the right side. At both sides, it has handles. Great feature but I bet you will move it using casters more than handles. The soft-touch electronic control panel is placed at the top. Behind the unit are drain hose outlet, power cord, and plug. Unit weights 29 pounds (13 kg). Height x width x depth is 10 x 14 x 10 inches. Quite a small unit. Sunpentown SD-31E has a lot of features. One of the best is auto operation. 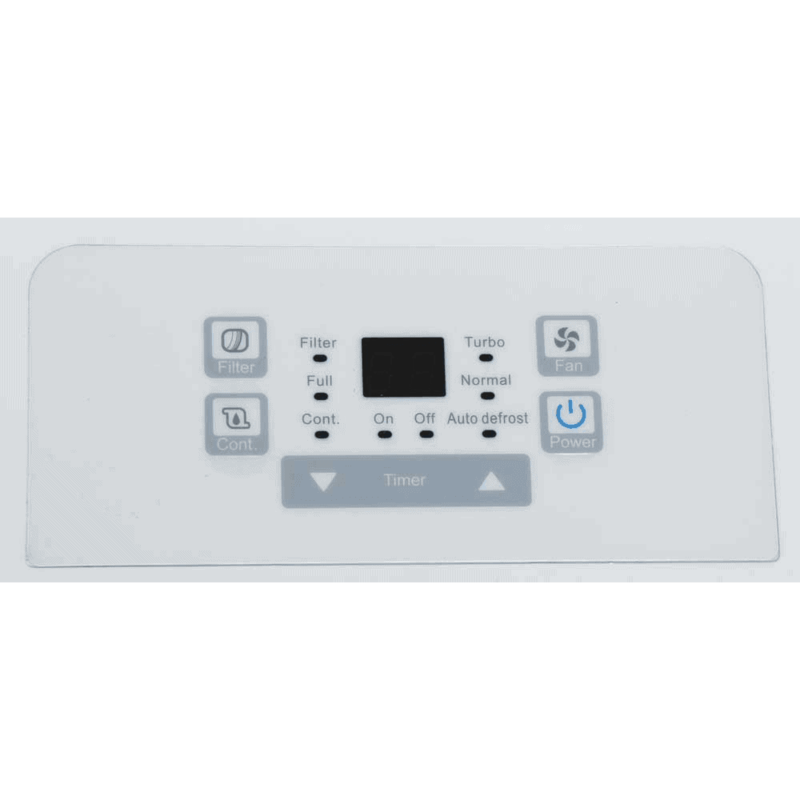 Choose desired humidity level using humidistat (range of adjustment is from 35% to 85% RH, in 5% increments) and select auto operation. Sunpentown will work for you until humidity level is reached. And here comes another great thing. A dehumidifier will shut down to save energy. You can activate also the continuous dehumidifying mode when you need to dehumidify an especially humid place with short downtime. The unit has a full bucket indicator with auto shut-off function. It will shut off 30 seconds after the bucket becomes full. Sunpentown SD-31E has an auto-restart. After power failure unit will restart with the previous settings. Time delay auto protection. A 3-minute time delay protects the compressor from accidental wear and tear as you start and shut off the unit. The unit has a washable filter. Dehumidifier filter check light will flash when it needs to be cleaned. Removable water tank with a handle. Continuous drainage option. Unfortunately, hose not included. Automatic Defrost. 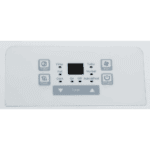 Sunpentown operates strongly in temperatures down to 41 degrees F. Though if frost starts to raise up internally, an automatic defrost function decreases it quickly to reduce downtime. Timer. With a timer, you can set to auto-start/stop up to 24 hours. 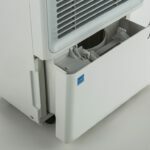 The unit has a two fan speeds – normal and turbo. 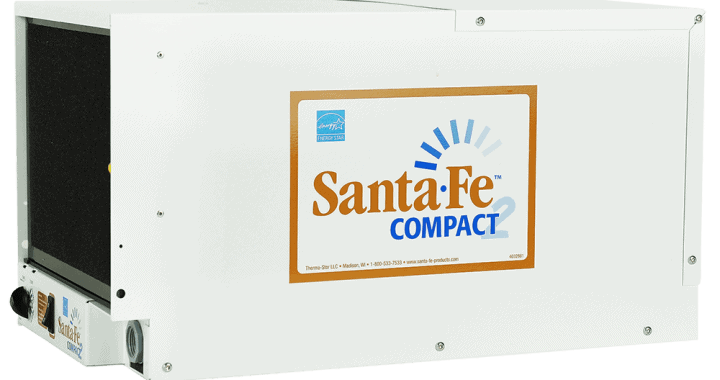 The Sunpentown SD-31E is Energy Star rated. It is efficient and has a budget-friendly operation. This is not an exception and like all dehumidifiers, it will make noise when running. 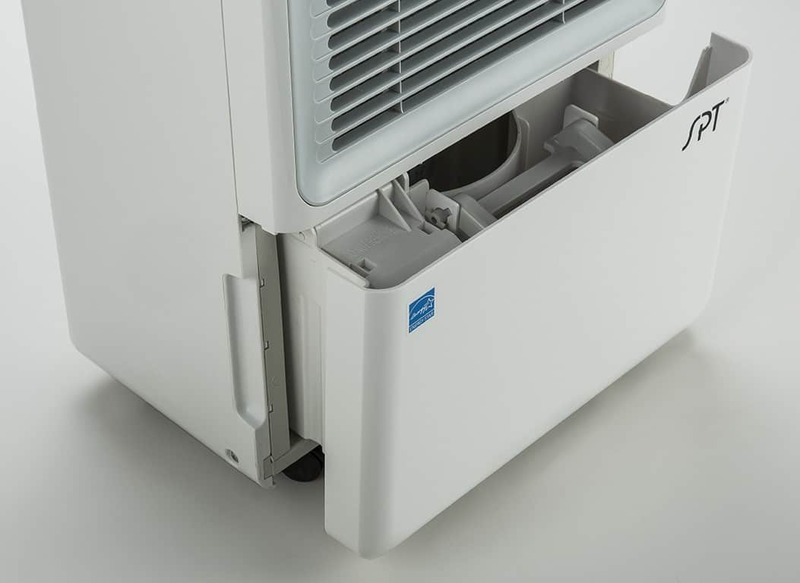 For its size, it is not the quietest dehumidifier. Noise is up to 56 decibels. This dehumidifier does not need specific cleaning. You just have to clean the grille and housing, the water bucket, and air filter when needed. For the air intake and outlet, grilles use a vacuum attachment or brush to clean them. Water tank should be cleaned every few weeks to prevent mold growth, mildew, and bacteria. Note from the unit manual: Do not place a bucket in the dishwasher. After cleaning, make sure outside of bucket is dried off before replacing its seat. If you use a water tank instead of continuous drain option you will have to empty water tank quite often. 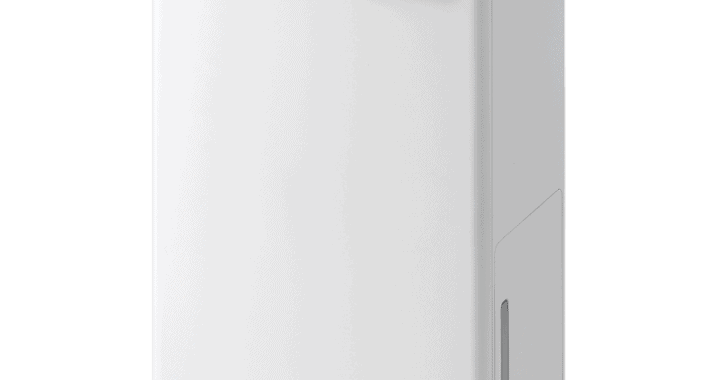 The water tank is too small for 30 pints dehumidifier – only 6.3 pints. 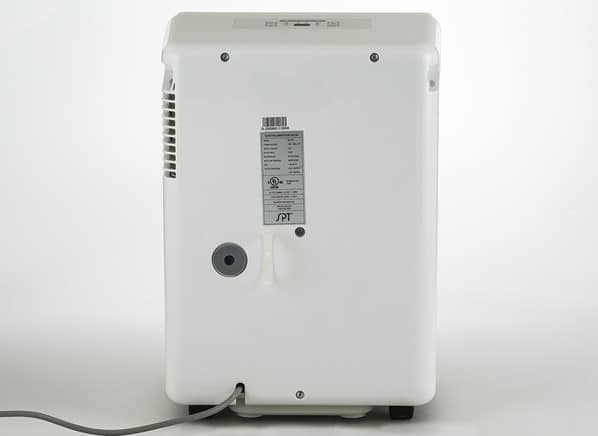 Sunpentown SD-31E 30 Pints Dehumidifier is a quality product that eliminates moisture from small spaces such as bathroom, bedroom, laundry room, and other. 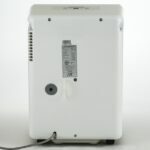 Posted in Dehumidifier Reviews, Reviews and tagged 30 pints, Dehumidifier, Dehumidifier Review.